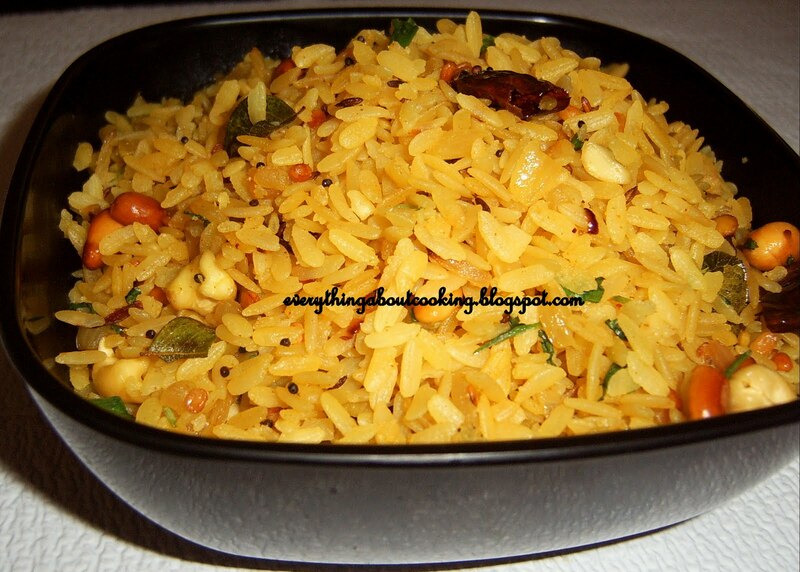 Atukulu/poha upma is an easy breakfast when time is a constraint. Its done in 15-20 mins. This is our breakfast today. First time for my son and he loved it :) . 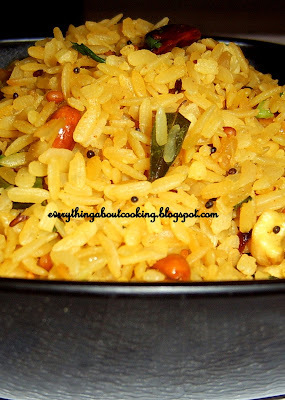 Wash the poha and saok it in water for 3 mins. Drain without water and keep aside. Heat 2 tbsps oil and add the mustard seeds and cumin seeds. When they start to splutter, add the urad dal , chana dal, dried red chillies, curry leaves , roasted peanuts, cashew nut pieces and saute till the dal changes color. Add the ginger, tumeric and green chillies and saute for a min. Add the chopped onion, salt and saute till translucent. Add the drained poha and mix well. Switch off and add the chopped cilantro and lemon/lime juice and serve. Enjoy!!!! Thank you Sayantani. Did you try using thick poha?